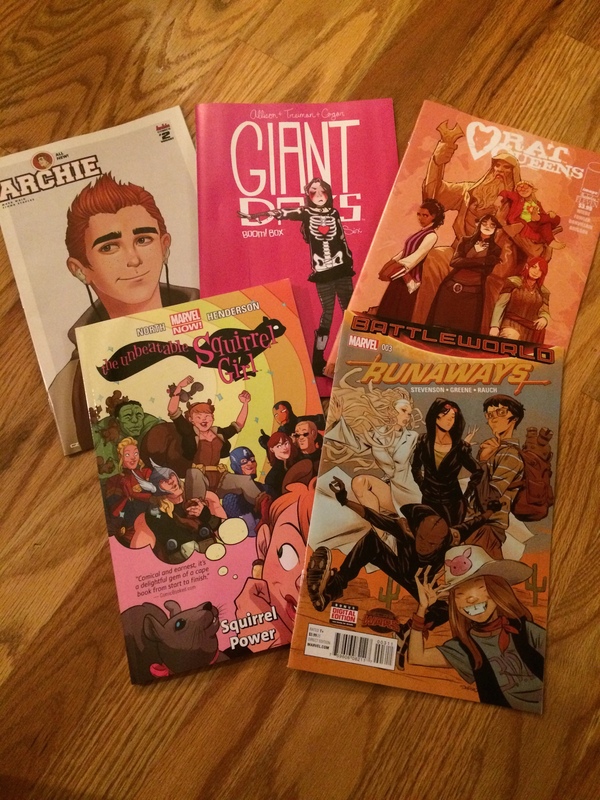 I got a little bit of everything in last week’s comic book haul – comedy, fantasy, superheroes, the works. 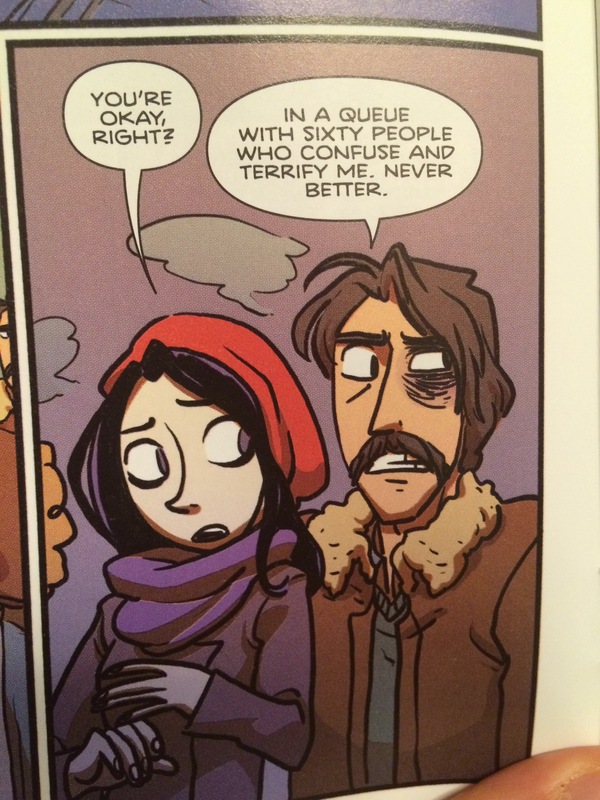 Archie #2 – For a comic book all about Archie, all I got say is Jughead is hella hot. 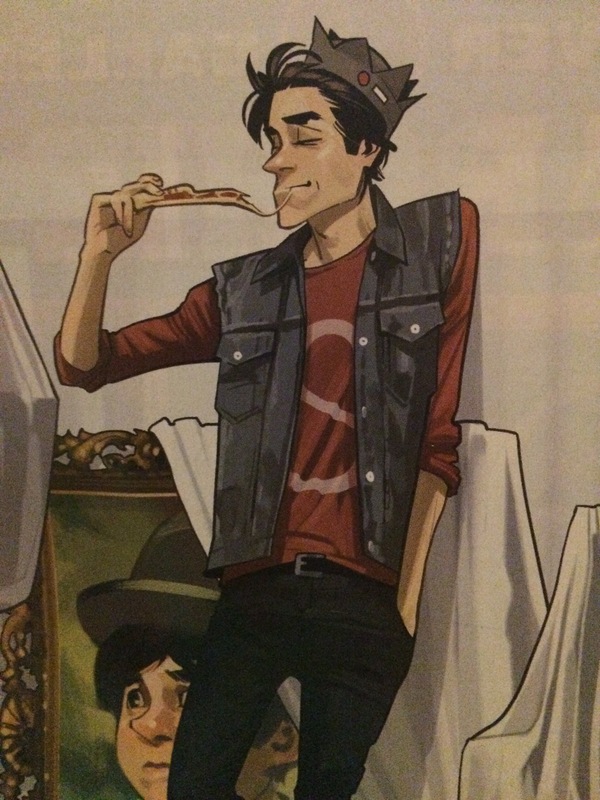 Jughead is even getting his own comic book 10/7/15 from Chip Zdarsky and Erica Henderson – More than burgers but mostly burgers. 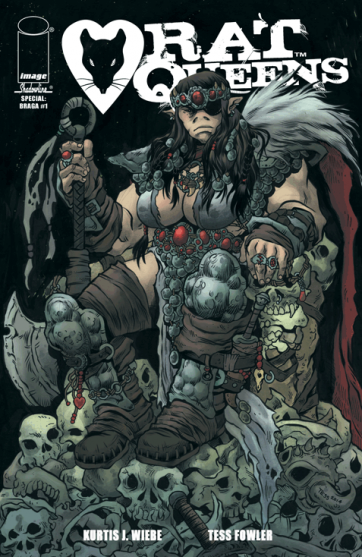 Rat Queens #11 – After falling in love with the trade volumes, I’ve crossed over into single issue purchases of Rat Queens! I’m not over the moon with the new artist Tess Fowler, unfortunately Rat Queens has been plagued with artist problems after the original artist Roc Upchurch was arrested on domestic violence charges. In other Rat Queens news, the series is being developed into an animated television series #squee! You can read about it here. Also I found out I’m missing the special on Braga – Imma gonna need that! The Unbeatable Squirrel Girl Vol. 1 – I’ve heard so many good things about Squirrel Girl, I can’t wait to read it! I picked it up on a whim at the new comic book bar in town – My Parent’s Basement, if you’re in the Atlanta area check it out!